Since founded in 1993, Norwegian developer Funcom has seen several ups and downs (layoffs and financial struggles), especially in recent years. 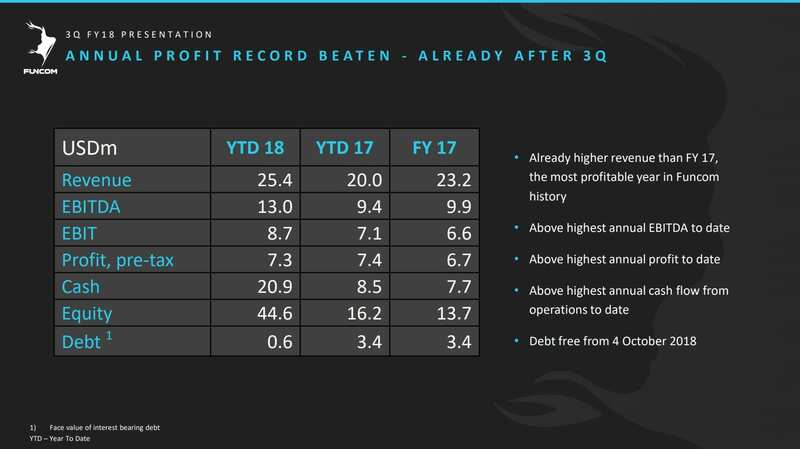 However, in the 3rd quarter 2018 financial report, Funcom announced it is finally debt-free as of 4 October 2018. 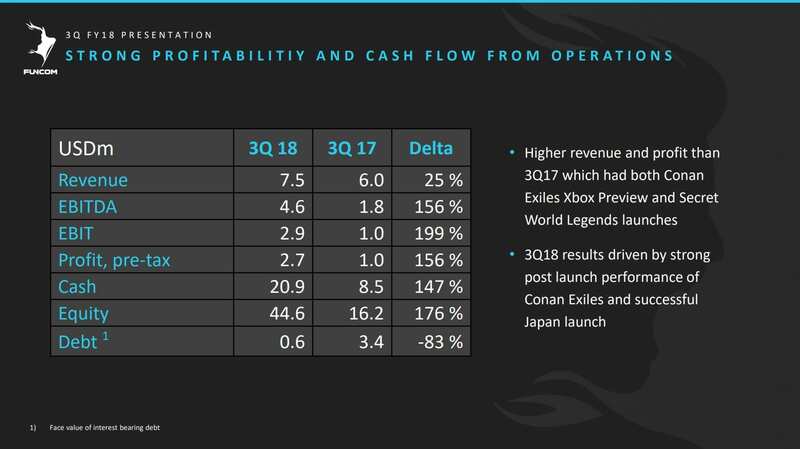 This drastic recovery is due to new investments and the strong performance of Conan Exiles. 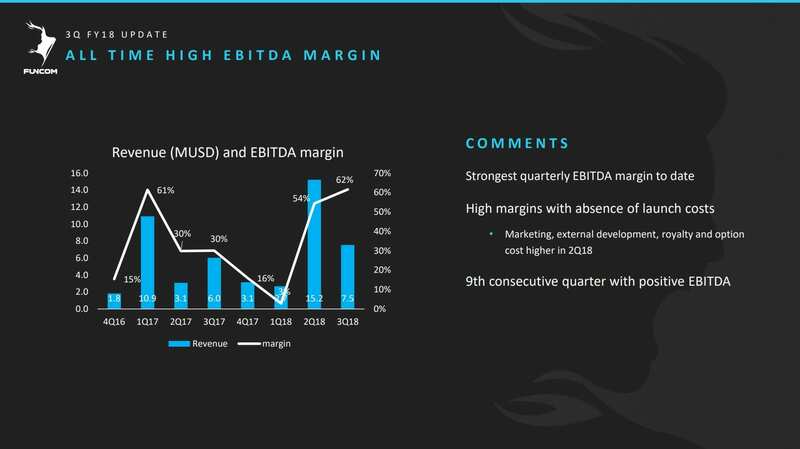 Funcom also sees its highest earnings margins in the company’s history during this quarter. Funcom also laid out its future strategy, with 6 new games in development together with more content updates for current running games. The first of the 6 new games, Mutant Year Zero: Road to Eden, is a tactical adventure game combining real-time exploration with XCOM-like turn-based tactical combat. 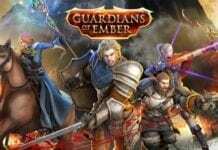 It is set to launch on 4 December on XBOX Game Pass, PC and PlayStation 4. Learn more about Mutant Year Zero: Road to Eden on Steam. 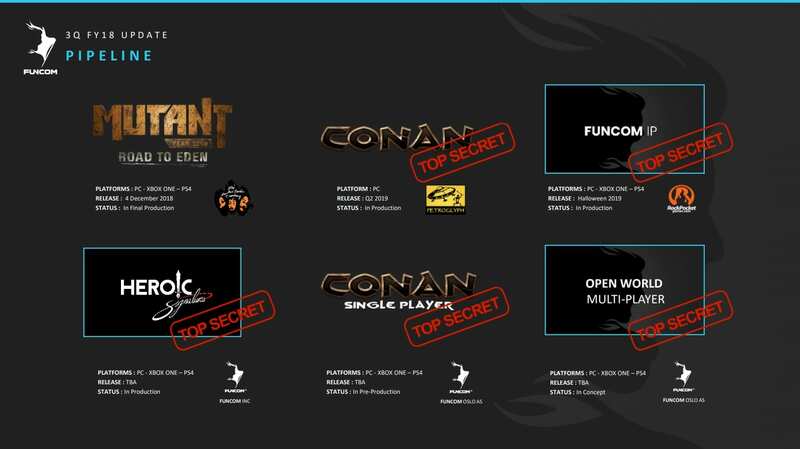 As for the other 5 games, 2 are based on the Conan IP which Funcom has so much experience in with Age of Conan and Conan Exiles. 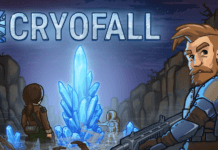 One of it is being developed with a partner, Petroglyph Games, while the other is a full-internal internal single-player project. The collaboration with Rock Pocket Games is scheduled for Halloween 2019, followed by 2 internal projects known as “Heroic Signatures” and a new open-world multiplayer game. The latter might still be a few years away, since it is still in the concept phase. Stay tuned!